We are passionate about our Yurts and Roundhouses, and all our structures are made with care, attention to detail and are bespoke made for each client. We want you to be involved in the process from the moment you contact us, so that we can produce the exact structure you desire, which is unique to you. If you have an idea for a structure, do get in touch with us- we will always be happy to discuss your plans- no matter how unusual they are. Lead Time and Ordering Details. After initial contact and quotation, it usually takes around 6-8 weeks to complete a yurt. This time could increase at particularly busy times, with larger structures or Roundhouses. .
To place an order, we require a non-refundable deposit of 30% of the total cost with the remainder due before delivery. We accept payment via Bank Transfer or Paypal (3% charge). 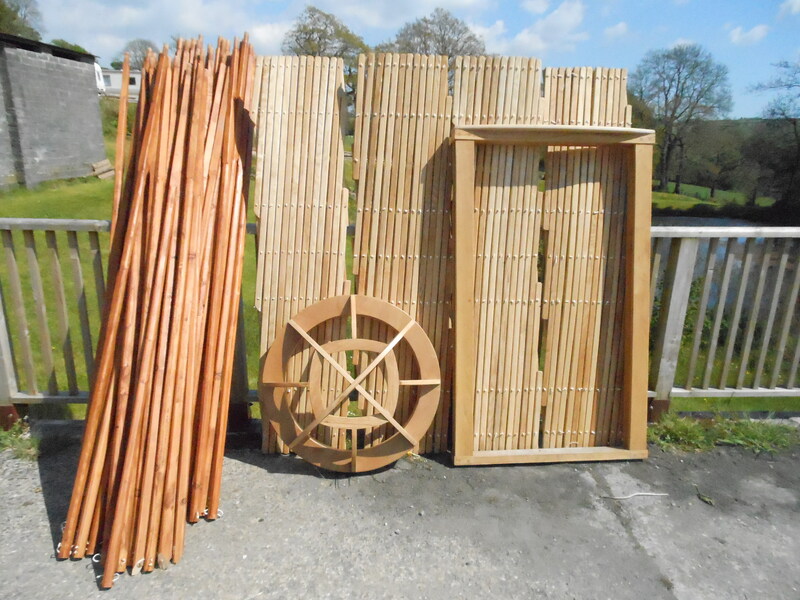 We will deliver your Yurt/ Roundhouse in person and set-up and fit ready for use for free. We do charge for delivery on a mileage rate according to the current fuel prices. We can discuss this at the time of ordering.